Easy Peasy Quilt Pattern. The Most Versatile Rag Quilt Pattern on the Planet! 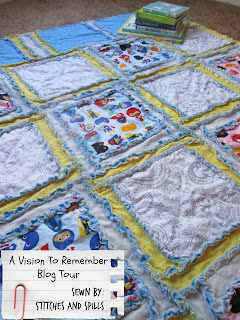 | A Vision to Remember All Things Handmade Blog: Easy Peasy Quilt Pattern. The Most Versatile Rag Quilt Pattern on the Planet! Easy Peasy Quilt Pattern. The Most Versatile Rag Quilt Pattern on the Planet! There is just 1 rag quilt pattern you will ever need. No joke. Plus, its right here. 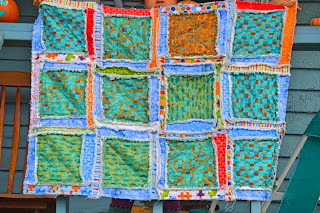 PS...this is the final stop on the Easy Peasy Rag Quilt Pattern Blog Tour. It comes with lots of different ideas on variations for the quilt....Plus a fun giveaway at the end. Simple, Quick, and oh so versatile. I've been asked by several people, how to sew together this quilt pattern. Today, is the last day on the blog tour, but make sure that you stop by each and every one of these blogs and check out their adorable versions! You won't be disappointed! Enter to win a Gift Certificate to avtrboutique.com. For those of you that love a good giveaway, make sure to enter this one! It is easy, and lots of ways to enter, so you can enter in the way that you feel comfortable. You don't have to complete all the fields, so follow along to your hearts content! Plus, its for a $40 gift card. Who doesn't love that! I first found my love for sewing when I had my first daughter 7 years ago. Since then, all 3 of my girls and my little boy have been my inspiration for everything I do. Right now, I love to make and sew rag quilts, car seat tents, baby blanket, rag quilt patterns, car seat tent patterns, ruffled curtains. Many times you can find me in my sewing room sewing away at customer orders, but when I am not doing that I enjoy blogging. 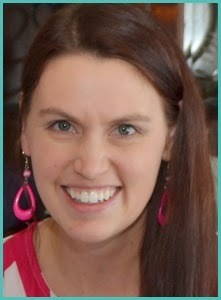 You can find sewing, home decor, craft, and DIY tutorials on my blog along with updates to shop, A Vision to Remember. I hope you find your "Vision to Remember" Inspiration here on my blog or in my shop.